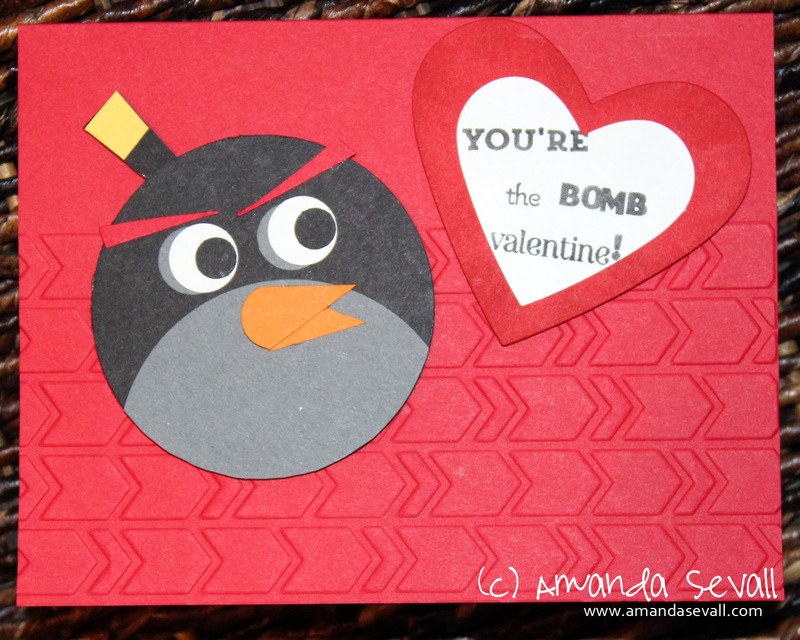 Amanda Sevall Designs: 365 Cards: You're the Bomb Valentine! I plan on putting a $5 Starbucks gift card in the envelope for each of them so they have something fun to do for Valentine's Day from Brian and I. 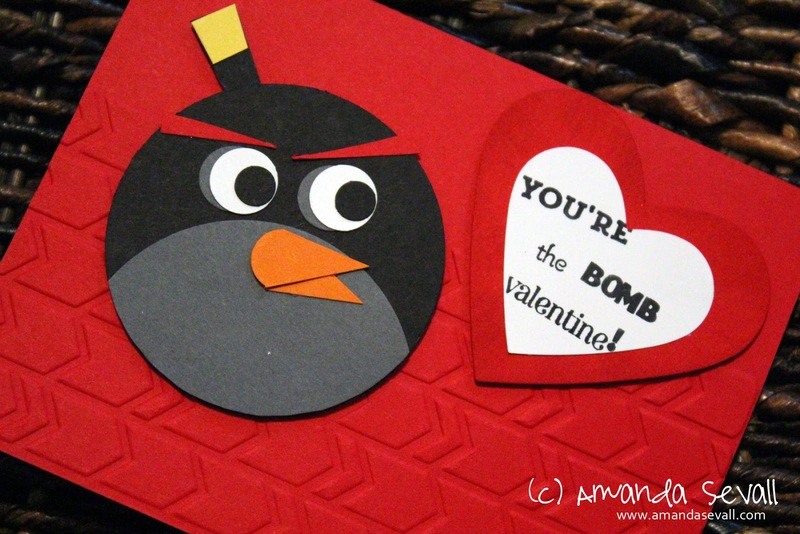 The sentiment is pieced together from different stamp sets to make a custom sentiment. I stamped only the word I wanted by coloring the stamp with markers, then stamping.